We've heard a lot of TV actors crossing over from soap to releasing their own albums. Most of the times, they just want to take advantage of their popularity. There are very few amazing moments, however, when we realize that the investment is because of... talent. 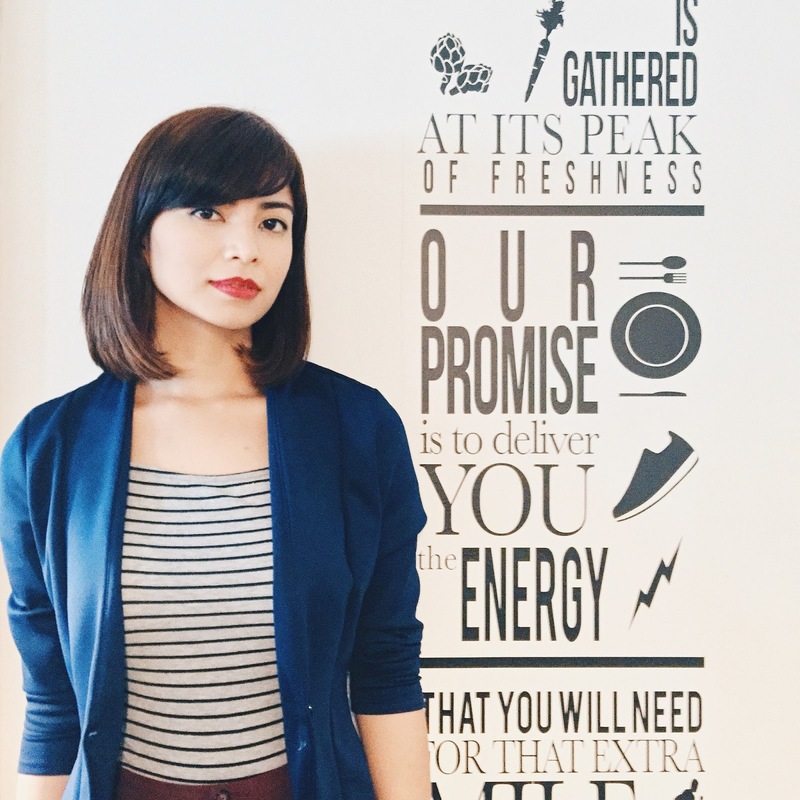 Glaiza de Castro's efforts on her new album "Synthesis" is a genuine example of the latter. Remember how she managed to put on vocal showdowns with no less than the Asia's Songbird, Miss Regine Velasquez, in their soap Diva? It was in 2010 and her character as Tiffany Mendoza can easily be hated. Hate her all you want but you know this girl has talent. Soon, you heard her sing a pop song after another in GMA's Party Pilipinas and Sunday All-Stars. But those numbers aren't who she is, musically. While Glaiza is successful in drama series, she had the top-raters Grazilda, Biritera and The Temptation of Wife all under her belt, there's a huge part of her who wants to explore music more. If you were able to watch the Cinemalaya movie Rakenrol by Quark Henares, you know this girl has a grip for music. Not because her character asks her to appear as such but because music is really part of her system. While looking at her new CD, mostly in black and a red circle in the middle with a silhouette of her face, you can easily notice how artsy she is. She is someone not mainstream and something definitely not pop. She was talking to the other bloggers and shared how her music is a fusion of a lot of other genres that she herself can't define. Thus the album name, Synthesis. As I opened the packaging, I found three sort-of postcards which she said she made herself and by her close friend, co-actress Chynna Ortaleza. There is no main purpose for these postcards. No lyrics are written here and no 'thank you' notes or names of significant people who made her album possible. It's just really added pieces of art. One reads "Listen To Your Voice" and the other "Ganyan Ba Talaga ang Pag-ibig?" It must be true when she said that her album is primarily all about expressing herself and her music. Not really about selling and finding another venue for her to earn more money. In the album are eight original tracks. There has to be emphasis in ORIGINAL, taking note that this album is more than 2 years in the making. She wrote some of the tracks and interestingly, another showbiz friend pitched in. Angelika Panganiban wrote the words of two songs: "Barcelona" and "Waiting Shed". Glaiza recalled how Angelika randomly sent her lengthy text messages from Spain. "Grabe. Walang tigil! Hinay-hinay lang," she shared how she reacted. She added music to it and sent it back to Angelika, who was in that point of her life, battling personal love issues. As soon as Angelika got her music, she called and broke down to tears. "Napakaganda naman kasi nung pagkasulat niya. Napakasarap lagyan ng melody," Glaiza shared further. Yesterday, a Sunday, I had the chance to listen to 6 of the songs. I just have to leave to do Sunday chores that's why I wasn't able to listen to the other 2 tracks but the listening time was enough for me to vouch for the album. It's worth every penny. (It's available in record bars now and on iTunes soon). My favorite is the carrier single Country Tree. Why? Because it's just steady but very sentimental if you would dig down to it. It's just the strumming of the guitar and her voice, not necessarily melodic but not boring either. What is buying Glaiza's album gonna give you aside from great music? It's the satisfaction to be more curious that not all actors are exactly who they are as how we see them even in several years on TV. There's more to appreciate. There's more to be fond of. You'll be seeing more of Glaiza portraying another high profile character in GMA's new soap The Rich Man's Daughter but Synthesis is one side of her that will entertain you.